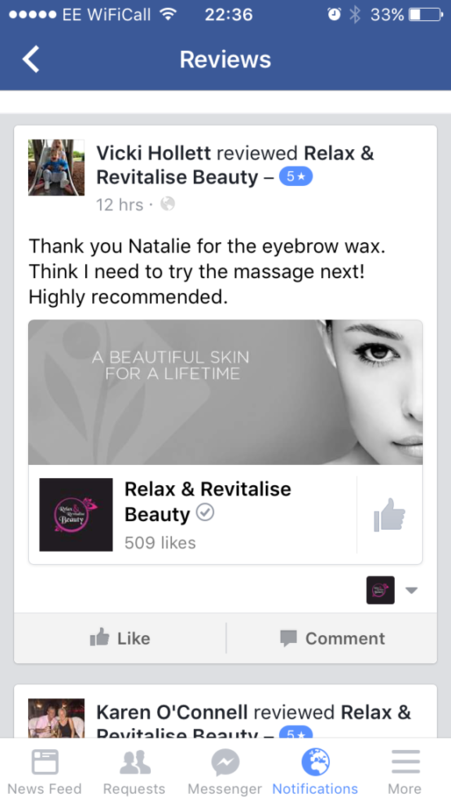 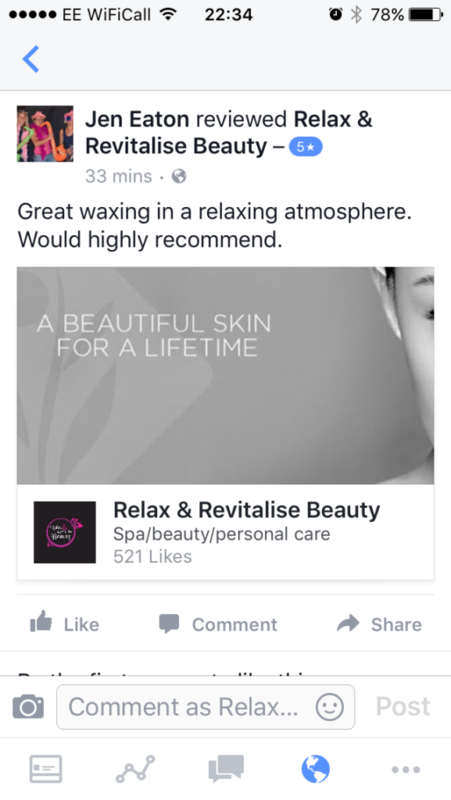 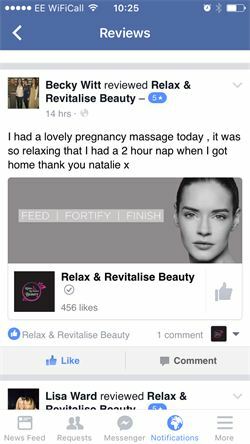 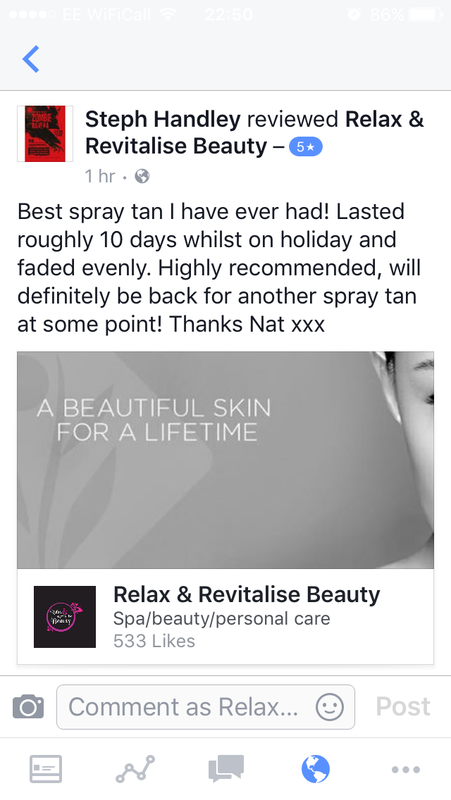 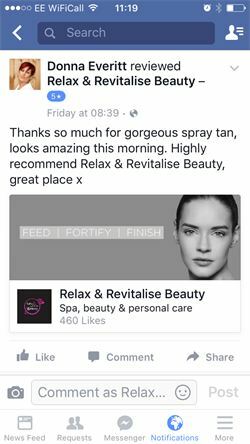 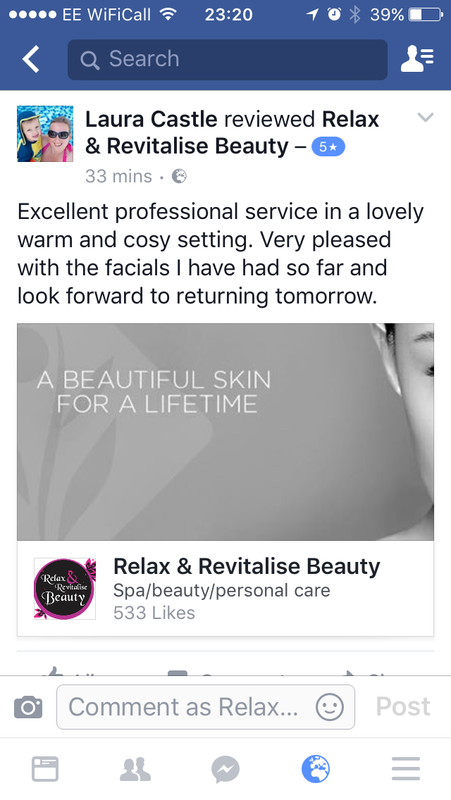 “I’ve been visiting Relax and Revitalise Beauty for just over a year and I have a variety of treatments and also now use Environ for my skincare regime . 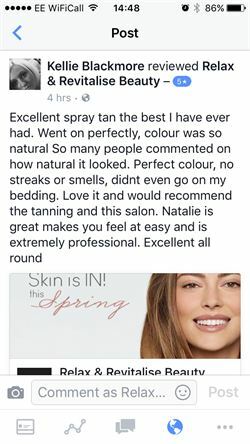 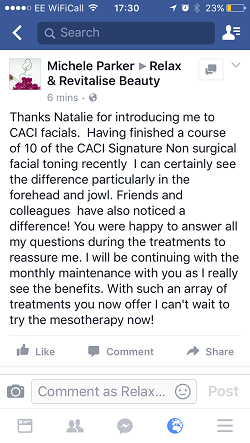 I am very impressed by Natalie and her knowledge that she shares. 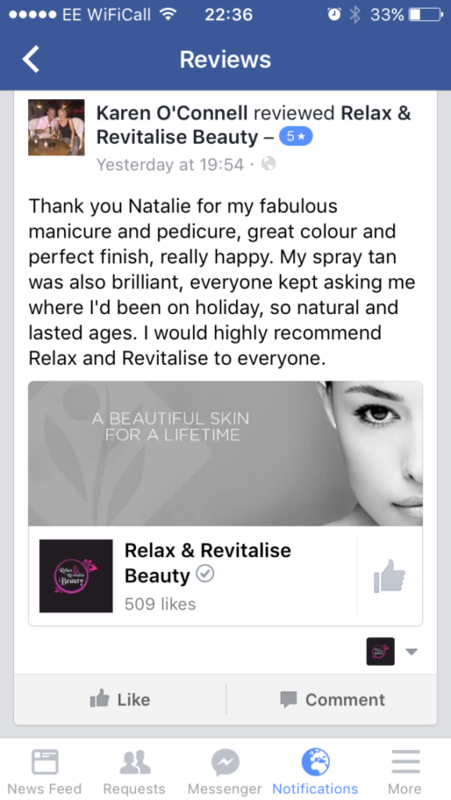 My skin has improved beyond belief. 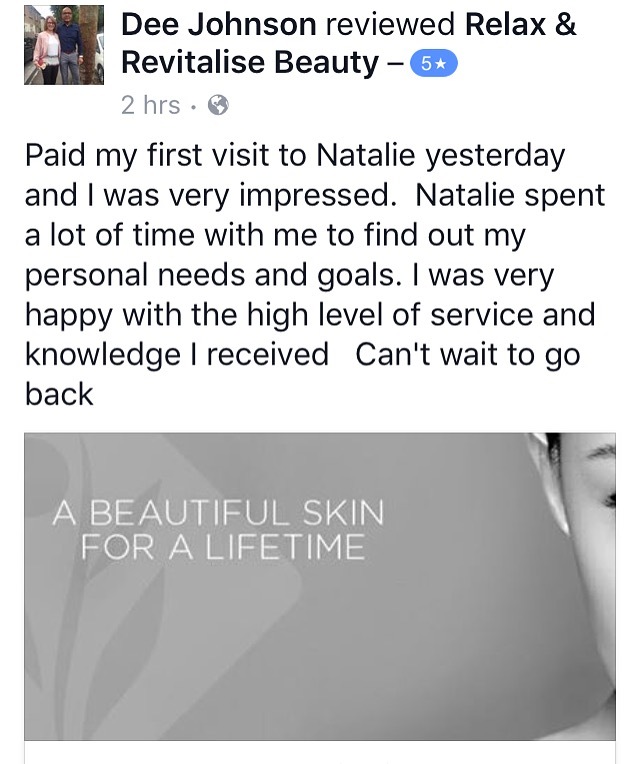 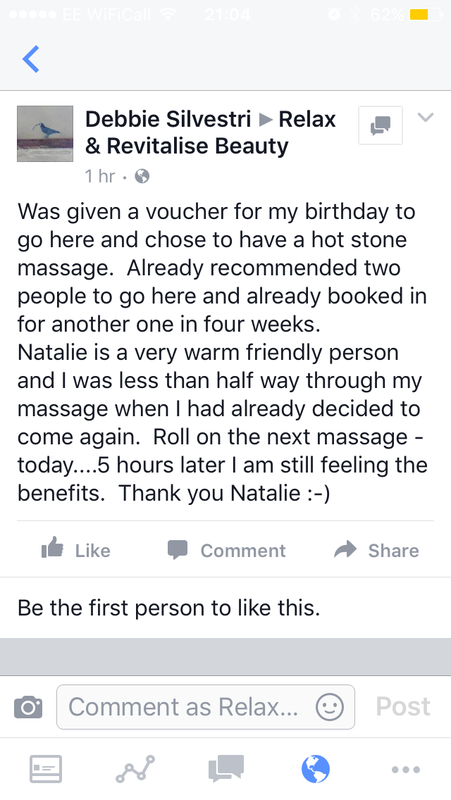 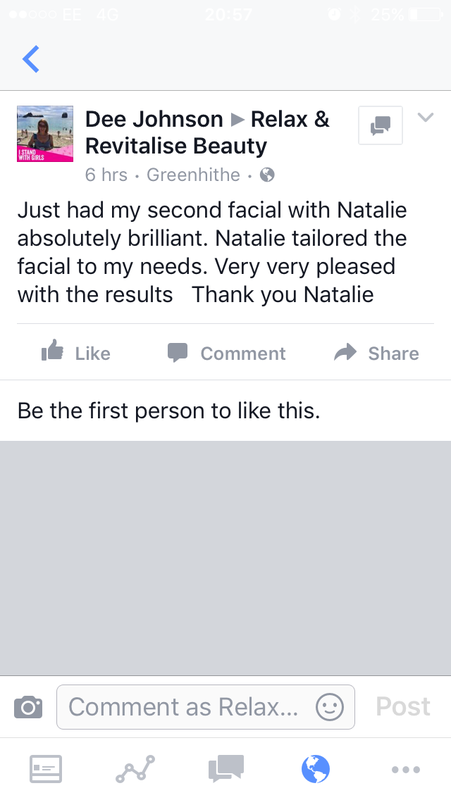 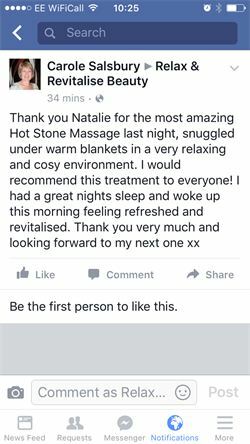 Natalie works with you as an individual. 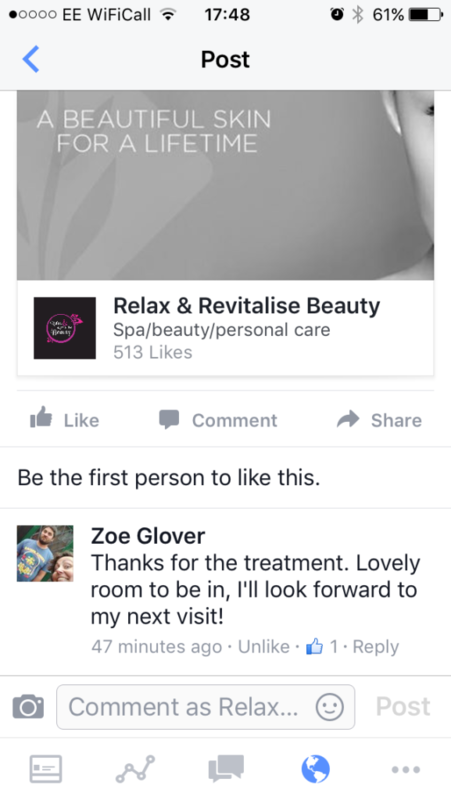 Her cabin and facilities are so relaxing.